FUN. MODERN. EXCITING TO SAIL. 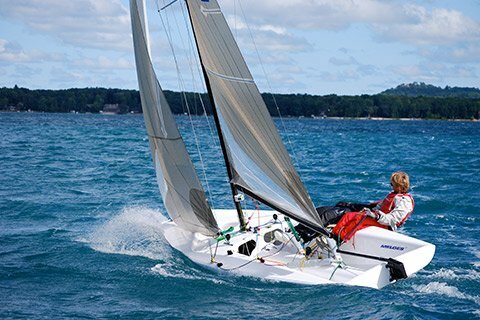 An alternative, double-handed scow, the Melges 17 has a reputation for being fast and fun in light or heavy air. 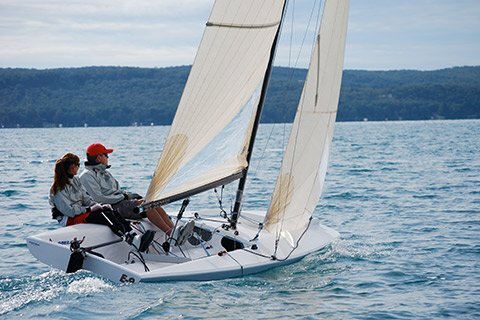 A streamlined and sporty scow geared for speed, it is a quick and easy racer with a reputation for being a fun family boat. 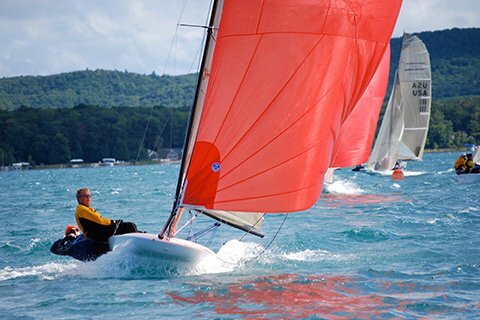 The rivalry pairings range from husband and wife to teamed siblings, making the Melges 17 the ultimate family racer!